A belated trip report from a visit to Thung Yai in December 2017! Thung Yai Naresuan Wildlife Sanctuary had been on my wishlist of places to visit for some time. 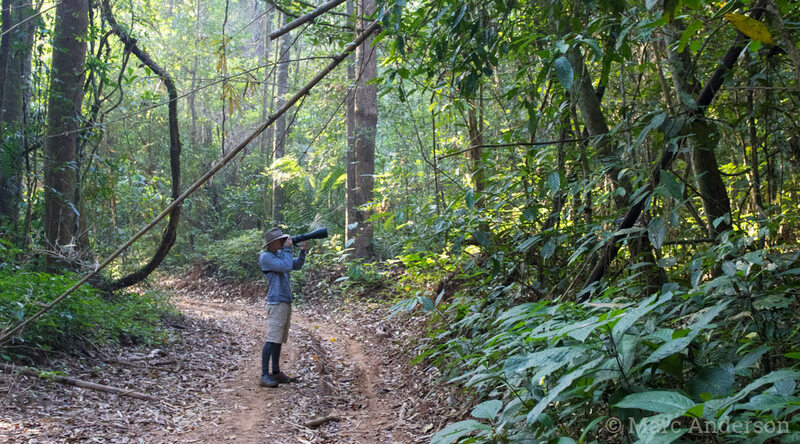 After several enjoyable trips to the neighbouring Huai Kha Khaeng Wildlife Sanctuary, I wanted to explore this part of Thailand further and see if I could get into some of the more remote sections of the Western Forest Complex. The problem would be gaining access – visiting Thung Yai requires special permission to be granted in advance, and even if one is able to get the paperwork, the roads into the heart of Thung Yai are notoriously challenging and require a serious 4WD vehicle well-equipped with recovery gear. This is probably a good thing as it deters most people from visiting and minimizes human impact on the reserve. Thankfully, with permission from Thailand’s Department of National Parks and the help of Surin, a local conservationist who works in close association with the sanctuary, I was able to arrange a trip to visit Thung Yai in December 2017. 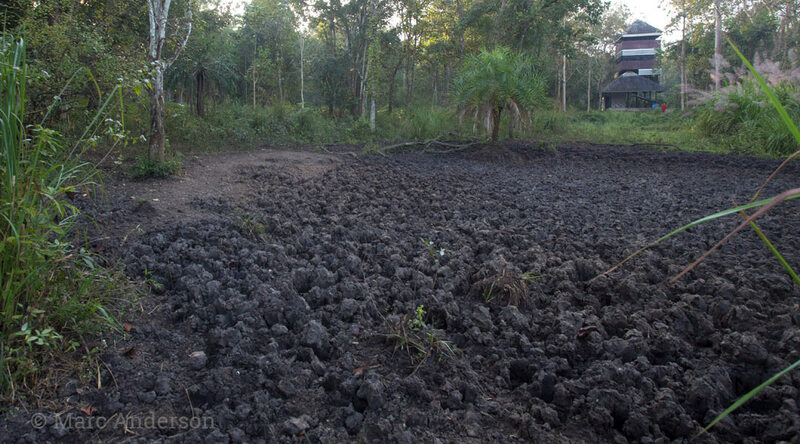 The main road into Thung Yai West was deeply rutted even in relatively dry weather. Initially I thought we could have taken our hired Toyota Fortuner 4WD into the reserve but after seeing the depth of some of the holes and ruts, we decided to tag along in Surin’s more suitably kitted-out 4WD pickup! Along with my nephew Taymen, we spent the first couple of days exploring the hill forest accessible from Thi Nuey ranger station, one of the main access points into the interior of the reserve. We camped at the ranger station and spent most of our time walking the first few kilometres of the main access trail in search of suitable recording locations. After a couple of kilometres the trail passed over a hill and far enough away from the ranger base to be virtually free from human noise. 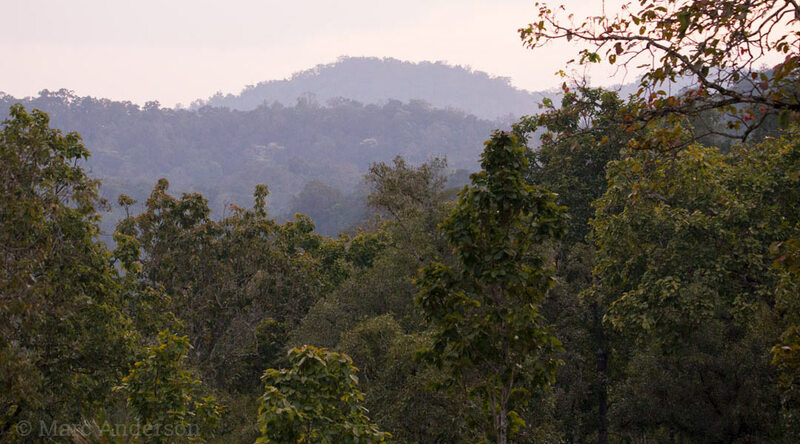 The damp, evergreen forest was alive with birds and the soundscape was typical of the mid-altitude forests of western and northern Thailand – with barbets, partridges, babblers, drongos and bulbuls singing throughout the day. The dawn and morning soundscapes were very atmospheric, a natural composition of spacious birdsong along with the gentle sound of dew dripping from the forest canopy. We recorded at several different locations afternoon, night and morning in this habitat and I was very happy with the results. The following recording features a mix of morning birdsong and includes the calls of Bar-backed Partridge, Mountain Imperial Pigeon, Lesser Yellownape, Bay Woodpecker, Great Barbet, Blue-throated Barbet, Buff-breasted Babbler, Brown-cheeked Fulvetta, White-throated Bulbul & White-handed Gibbon. 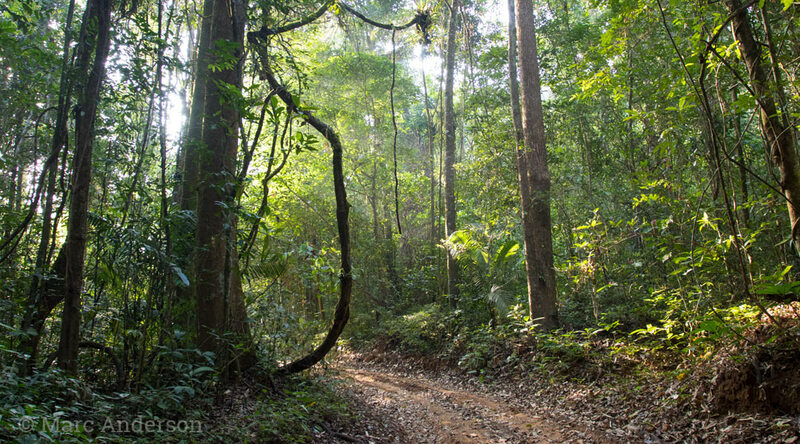 Next on the itinerary was Thi Khong ranger station, about 12km further into the reserve and surrounded by a mix of dry dipterocarp forest and evergreen gullies. 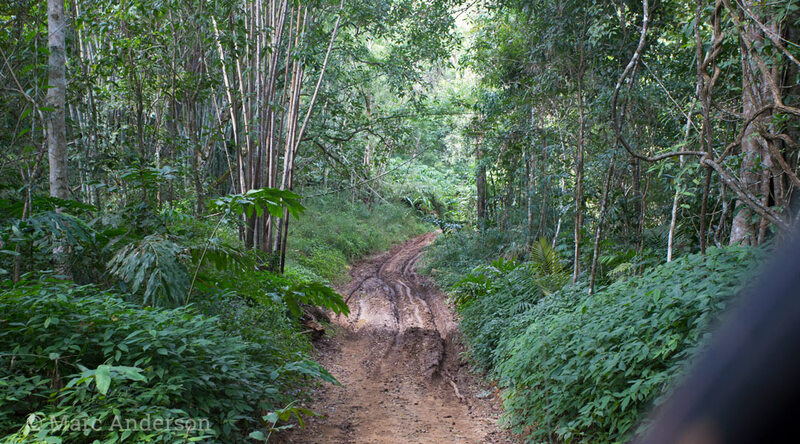 About five kilometres into the journey the road became extremely rough and only thanks to Surin’s off road skills were we able to get through a few of the particularly deep ruts. Sambar Deer This large deer species is common around Thi Khong ranger station and their loud alarm calls could be heard throughout the night. Barking Deer Another common deer species throughout Thung Yai. This species makes loud barking calls which could be heard day and night near Thi Khong. Dry deciduous dipterocarp forest near Thi Khong ranger station. This forest-type is more open than the denser, evergreen forest and has a grassy understorey – ideal habitat for large herbivores. 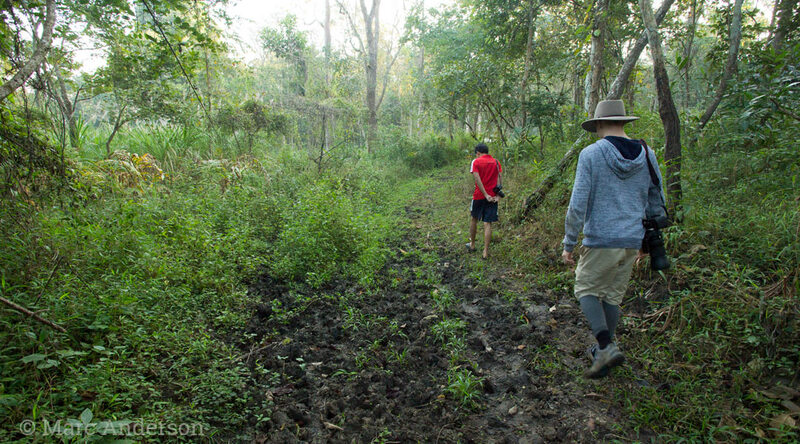 On the way to a salt lick near Thi Khong – notice the abundance of animal tracks along the path! One of Asia’s largest protected areas, the Western Forest Complex straddles the border of Myanmar & Thailand and comprises 19 national parks and wildlife sanctuaries, including Thung Yai Naresuan Wildlife Sanctuary. Thung Yai (comprising both east and west sections) is the largest protected area in Thailand and along with the adjoining Huai Kha Khaeng Wildlife Sanctuary, forms the core area of this vital biodiversity corridor. The geographic location of Thungyai lies at a crossroads where several ecoregions overlap, namely the Sundaic, Indo-Chinese, Indo-Burmese and Sino-Himalayan. Basically this means that there is a particularly interesting mix of flora and fauna found within the sanctuary and some species which typically would never be found together can be seen side by side. For example the Rufous-necked Hornbill (Aceros nipalensis) can be found in some of the hill forests (a species found in the southern ridges of the eastern Himalayas) while the Banded Broadbill (Eurylaimus javanicus) can be found in the valleys below (a species from the equatorial forests of the Sunda region). Within Thung Yai there is also a significant variety of habitat types, ranging from tropical evergreen forests to dry dipterocarp woodland. 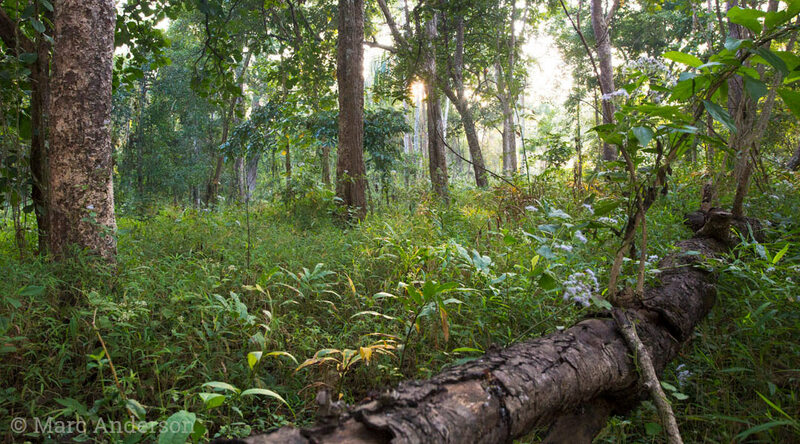 These drier, deciduous forests have been lost to agriculture throughout much of Southeast Asia, but in Thung Yai they are widespread and thriving, and provide ideal habitat for herbivores such as Gaur (Bos gaurus), Banteng (Bos javanicus) and Eld’s Deer (Panolia eldii). The abundance of grazing animals in Thung Yai supports a significant predator community including the endangered Indochinese Tiger (Panthera tigris tigris). 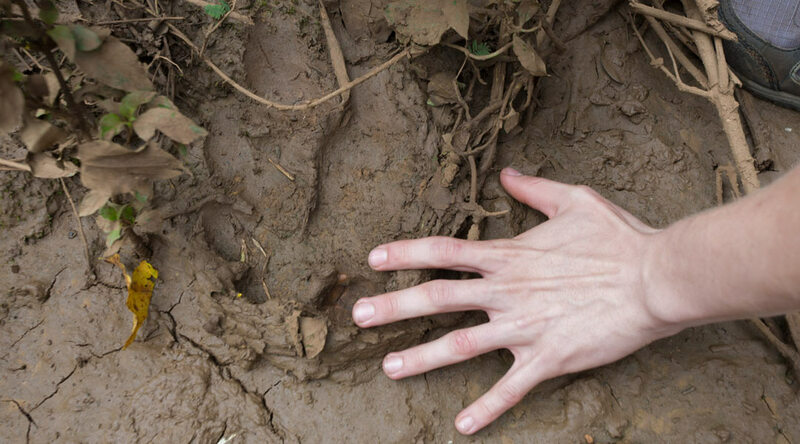 Evidence of big cats such as this tiger pugmark is common in Thung Yai. Despite the tireless efforts of park rangers, poaching is still an ongoing problem. Just a couple of months after our trip, a scandal regarding poaching in Thung Yai hit newspaper headlines in Thailand. A prominent Thai businessman had been caught with weapons, ammunition and the carcass of a black leopard at a makeshift campsite about twelve kilometres north of the Thi Khong ranger station. This particular case is receiving a lot of media attention because of the high profile individual involved, but the fact is, poaching is a long-term, ongoing threat in the Western Forest Complex, and the dedicated rangers of Thung Yai are in the front line fighting against this problem day by day, year by year. 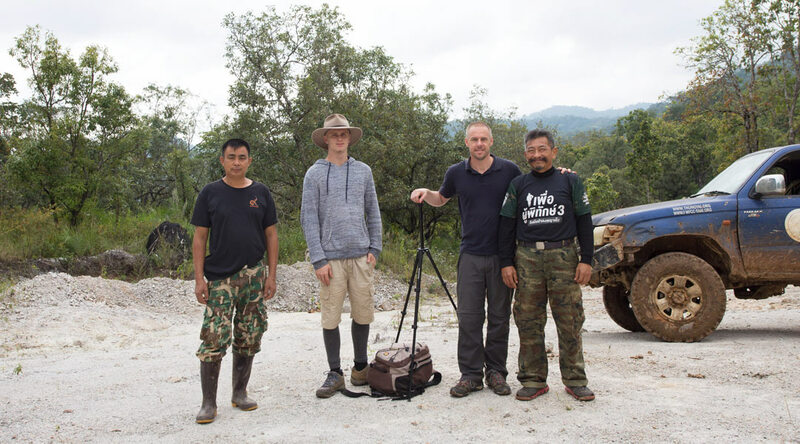 Our trip would not have been possible with Surin’s help and the hospitality of the rangers at both Thi Nuey & Thi Khong. Surin is a conservationist for the non-profit organisation ‘South East Asian Ecological Conservation’ (SEAECO). Working with local communities, he helps the villagers find sustainable solutions to the challenges of living in and around a protected area such as Thung Yai. Recently Surin has been helping locals manage human/elephant conflict in a number of villages in the area. 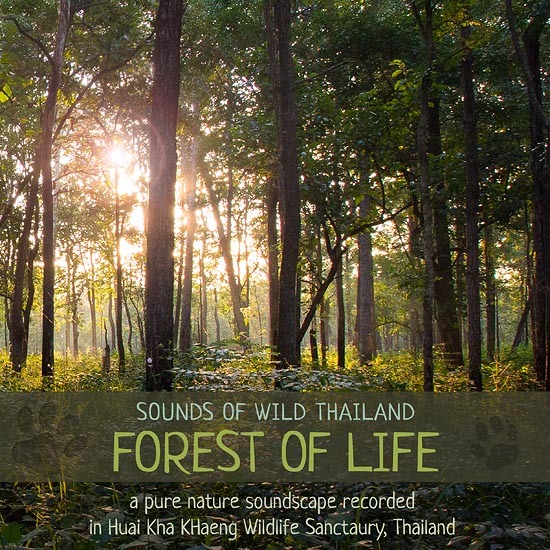 This album was recorded in dry dipterocarp forest in Huai Kha Khaeng Wildlife Sanctuary, which is part of the same forest complex as Thung Yai. 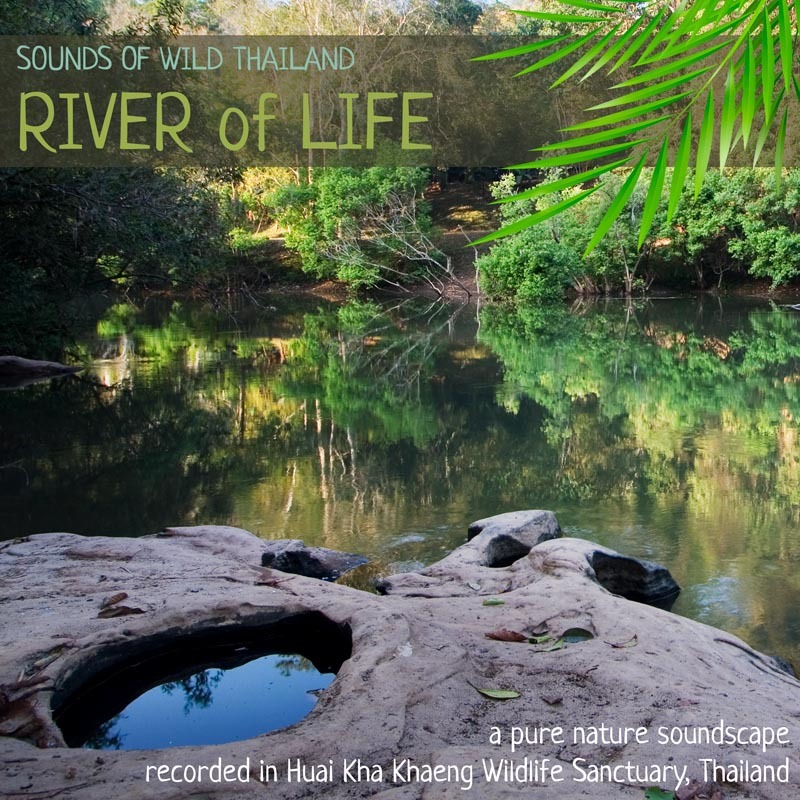 Another album from Huai Kha Khaeng Wildlife Sanctuary, this recording captures the sounds of a pristine river flowing through mixed evergreen and bamboo forest. ← Previous Article - "Tangkoko Cicadas"